We Filled the Cubbies!! 2,087 Items! You are here: Home / Programs / We Filled the Cubbies!! 2,087 Items! 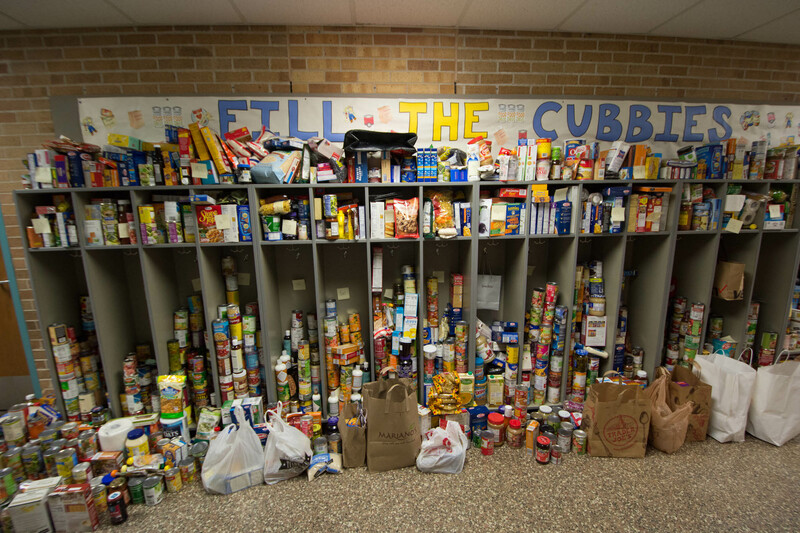 The Glen Ellyn Food Pantry was overwhelmed by the generosity of our school and our community. We collected 2,087 items! Way to go Lincoln Leopards! 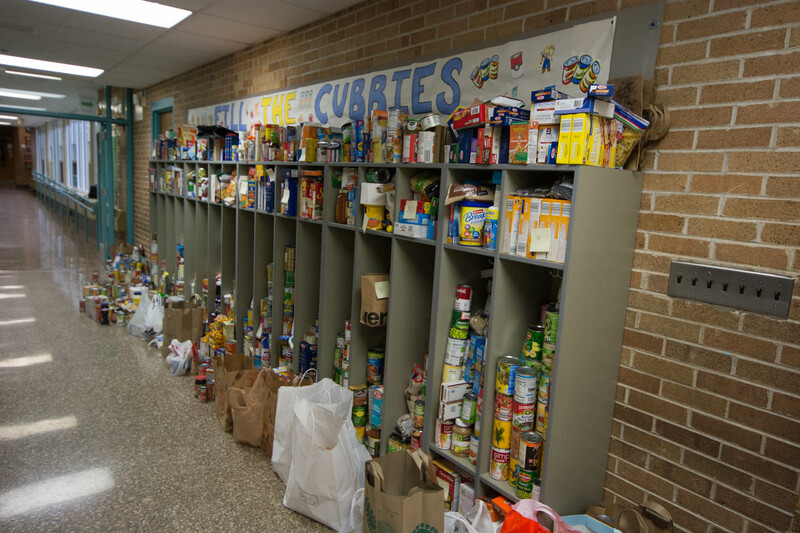 The cubbies were literally overflowing – it was quite a sight! All items were dropped off at the food pantry last week. They were surprised and humbled by the effort of our school! Sixty-six boxes of food were delivered! Wow! We are so proud of our Lincoln students! Thank you for your support. Together we can make a difference in our community! Correction from previous eblasts: It was previously noted last year’s total was higher than two years ago which was incorrect. We do apologize for the error. Character Counts committee.